Dorothy Spicer Award revived by Isle of Wight Studio School. 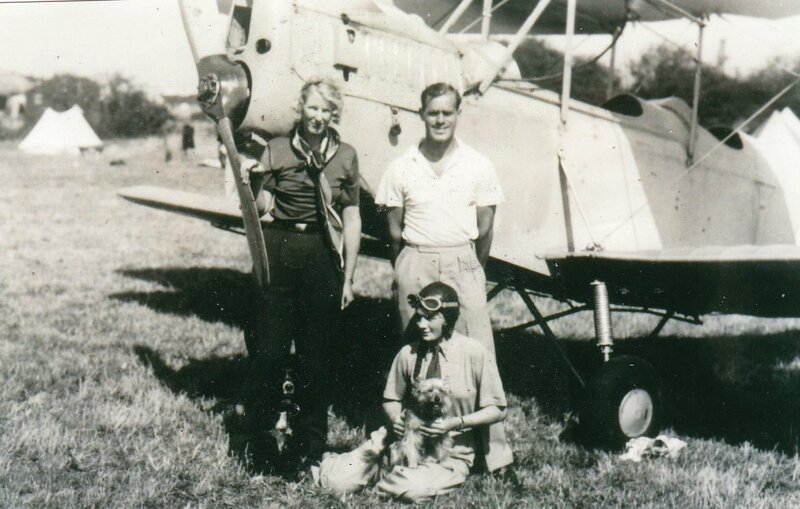 In working partnership with pilot Pauline Gower, Dorothy maintained their Spartan aircraft in a successful flying business called Airtrips Ltd.
During the war Dorothy worked for the Air Ministry at Farnborough, along side her husband Richard Pearse. 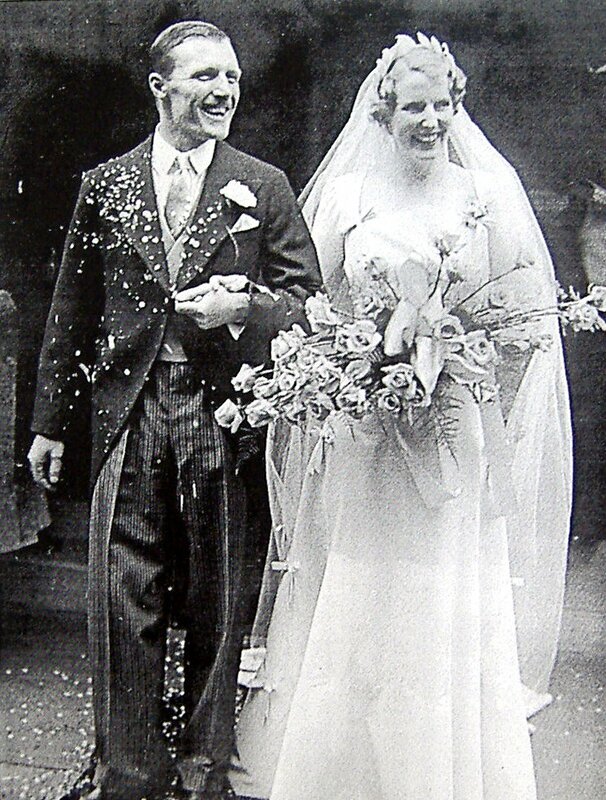 Dorothy and Richard died in 1946 in an airliner crash near Rio de Janeiro. They were passengers travelling there to start a new life. Their daughter Patricia survived them. The aviation world was shocked by their deaths, and created a Dorothy Spicer Memorial Award to perpetuate her memory. Memorial donors included SARO and Sir Alliott Verdon-Roe, de Havilland Aircraft, Sir Alan Cobham, Fairey Aviation, Percival Aircraft, and Mr. A.C. Jack, (chief engineer of SARO). Noted Spicer Award winners included David Pettit Davies, chief test pilot for the Civil Aviation Authority. Davies tested the ‘Comet’ jet airliner and the supersonic ‘Concorde’. Also Freddie Laker of cut-price air travel ‘Skytrain’ fame. The Spicer Award ceased in the 1980s, due to cumbersome administration. Now the new Isle of Wight Studio School, in Grange Road, East Cowes, is to revive the Spicer Award, as a special prize to an outstanding student. Some of the employers committed to the development of IW Studio School are modern aviation companies GKN Aerospace and BAE Systems (Cowes). GKN Aerospace is situated on the old SARO aircraft site in East Cowes. 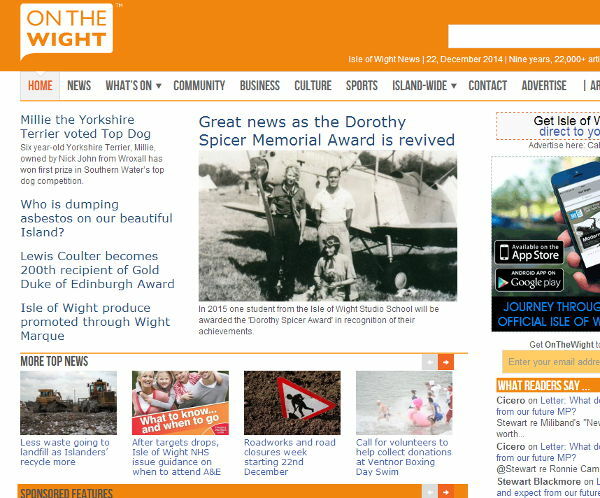 Dorothy Spicer’s daughter, Patricia, is delighted that the IW Studio School is to honour her mother’s achievements, by reviving the Spicer Award. Dorothy’s nephew, Timothy Spicer, is equally pleased that 2015 will see a young, aspiring student become the first to receive this special award. To learn more about Dorothy Spicer read her story here. Click here to learn more about Isle of Wight Studio School.